If you’re like me, you probably won’t have heard of costochondritis until you or someone you know is diagnosed with it. I speak from experience because costochondritis, an inflammation of the segments of cartilage — called costosternal joints — that connect the ribs to the breastbone, wasn’t even on my radar when I went to the emergency room late one recent night with pain and tightness in my chest. Turns out I’m far from the first person with costochondritis to show up in the ER thinking they might be having a heart attack. According to one study, 30 percent of patients who went to the ER with chest pain had costochondritis. Costochondritis and Arthritis: What’s the Link? Costochondritis is not as common as inflammation in the joints of the hands, elbows, knees, or feet, but if you have inflammatory arthritis like rheumatoid arthritis, ankylosing spondylitis, or psoriatic arthritis, you may also be more likely to get costochondritis. 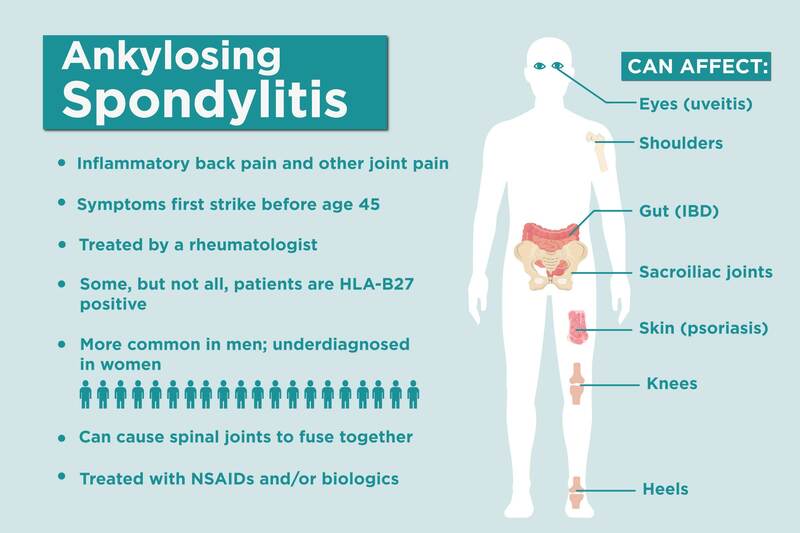 “When you have a condition that predisposes you to inflammation over multiple joints, you have increased susceptibility to developing it,” says Vinicius Domingues, MD, a rheumatologist in Daytona Beach, Florida, and medical advisor for CreakyJoints. Though costochondritis can happen at any age, it is more common in people over 40 and, like inflammatory arthritis, it affects women more than men — 70 percent versus 30 percent. 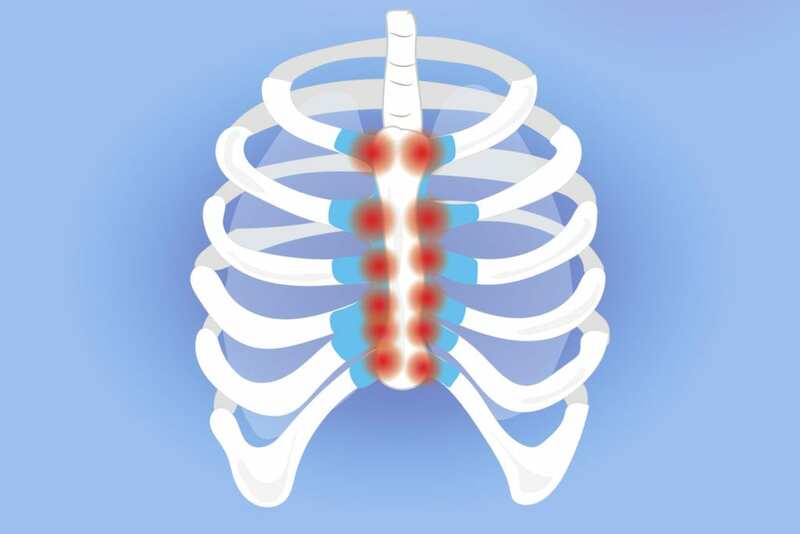 The most common symptom of costochondritis is pain and tenderness in the chest that’s typically described as sharp, aching, or pressure-like. The ribs and breastbone connect in seven different places and pain can occur at any of them or even at more than one location. Costochondritis often occurs on just one side and frequently on the left side, which is why it’s often mistaken as a symptom of a heart attack. One tipoff that it’s not a cardiac event is that your chest is painful to the touch (something that doesn’t happen when you’re having a heart attack). My doctor diagnosed my costochondritis by pressing on my chest, which hurt like hell. Other clues it’s costochondritis: Pain is often exacerbated by upper body movement and deep breathing, even if it’s just reaching up into a high cupboard or blow-drying your hair (yes, again, I speak from experience). Moving the arm on the affected side will usually also cause pain. But remember: Any time you experience chest pain, you should seek medical attention. Don’t attempt to assess for yourself whether or not you may be having costochondritis, a heart attack, or something else. According to my doctor it doesn’t take much to develop costochondritis from exertion. Because I developed costochondritis around the holidays, she asked if I’d recently lifted a turkey. I traced it to a vigorous workout on the elliptical machine followed the next day by some strenuous yardwork. The pain from costochondritis often goes away on its own in a few days or weeks, but it can also take up to a few months or longer. It’s unusual for costochondritis to become chronic, says Dr. Domingues. Treatment includes rest, ice or moist heat (if you can stand the cold, Dr. Domingues suggests alternating each for 20 minutes a few times a day), and nonsteroidal anti-inflammatory drugs (NSAIDs) such as ibuprofen, naproxen, and aspirin. Here are answers to common patient questions about taking NSAIDs. Of course, refrain from any physical activity that makes the pain worse. I found the pain from costochondritis to be exhausting so I laid quietly in bed on my stomach as much as possible (laying on my back seemed to exacerbate the pain). It took about a week for my pain to go away completely. If yours persists, physical therapy and/or steroid injections can help. 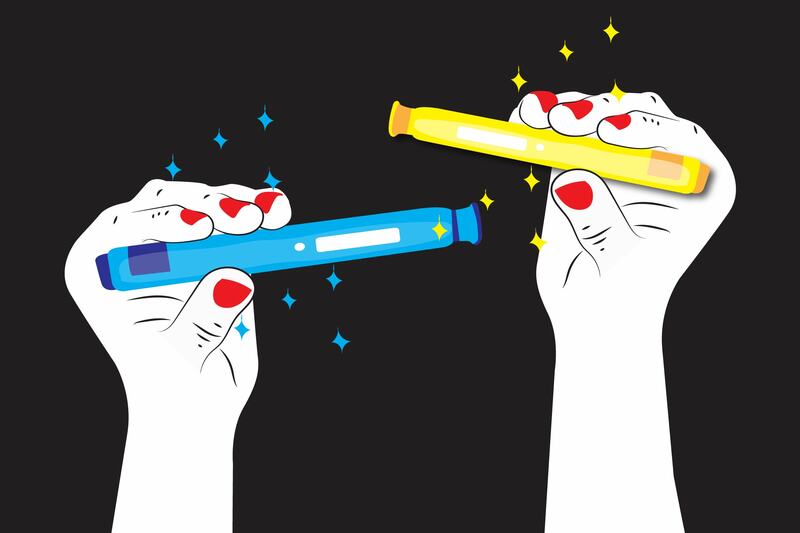 The good news: By all accounts, these remedies are rarely necessary. Use our ArthritisPower app to track your symptoms and disease activity and share your results with your doctor. Learn more and sign up here. Receive our newsletter and stay informed about arthritis treatments, comorbidities, and more.